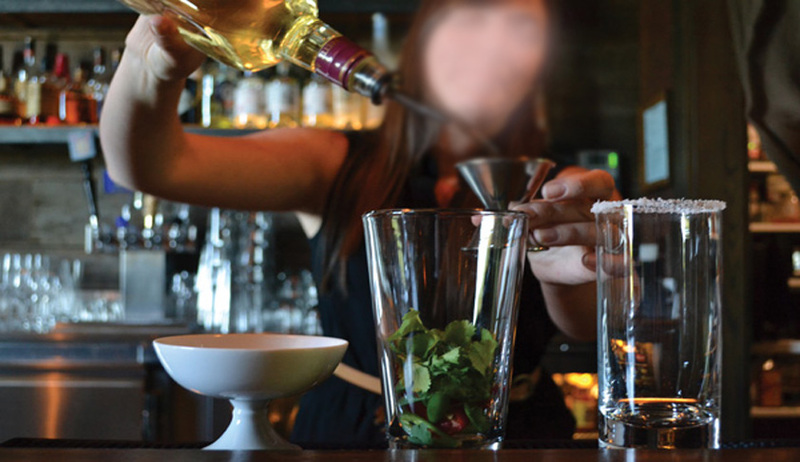 The Kerala High Court has held that the rule prohibiting women from working as Bartenders is unconstitutional. Justice Dama Seshadri Naidu, allowed the writ petition moved by women who were working as waitresses/restaurant assistants in a bar attached to a hotel in Trivandrum saying that they faced the threat of termination from their employment with the introduction of a new Rule governing the Bars attached to hotels. As per the amendment of the Foreign Liquor Rules notified as S.R.O. No. 959/2013 dated 9/12/2013, a new rule as Rule 27A is incorporated prohibiting women from being employed “in any capacity for serving liquor on the licensed premises’. Question before the court was whether Rule 27A of the Foreign Liquor Rules is impugned is violative of Articles 14, 15 (1) & (3), 16 (1) and 19 (1) (g) of the Constitution of India. The issue which the Court had to decide is whether a woman can be deprived of employment solely on the ground of the alleged disadvantage she suffers from owing to her gender. The court also pointed out, citing Gita Hariharan case that, India is a signatory to the Convention on the Elimination of All Forms of Discrimination against Women, 1979 ("CEDAW") and the Beijing Declaration, which direct all State parties to take appropriate measures to prevent discrimination of all forms against women and the domestic courts are under an obligation to give due regard to International Conventions and Norms for construing domestic laws when there is no inconsistency between them. As regards Article 15(3) the court held that, the discrimination can be in favour of but not against the women, whose socio-economic backwardness needs no further emphasis. Article 15 (3) of the Constitution of India, after all, is an enabling provision to empower the women, Justice Naidu said in his judgment. Anuj Garg v. Hotel Assn. of India, (2008) 3 SCC 1 was also quoted in approval. In that case the the Constitutional validity of Section 30 of the Punjab Excise Act, 1914 prohibiting employment of “any man under the age of 25 years” or “any woman” in any part of such premises in which the public consume liquor or intoxicating drug. Hon’ble Supreme Court had affirmed the judgment of the Hon’ble Punjab & Haryana High Court, which declared Section 30 of the Punjab Excise Act, 1914 unconstitutional. Finally the Kerala High Court held “It needs no much cogitation to hold that Rule 27A of Kerala Foreign Liquor Rules as well as condition 9 A under the head Conditions in Forms FL 3 fall foul of the Constitutional scheme of gender equality as has been spelt out in Articles 14, 15 (1) & (2) and 16 (1) & (2) of the Constitution of India “.